The following are the Member Schools and Institutions of the Washington Theological Consortium. Founded by God’s grace in 1950, the Byzantine Catholic Seminary of Sts. Cyril and Methodius is the official seminary of the Byzantine Catholic Metropolitan Church of Pittsburgh, is open to all the North American Eastern Eparchies, and welcomes all those seeking the knowledge possessed by the Eastern ecclesial traditions…. Howard University School of Divinity (HUSD) is one of the oldest fully accredited (1940) theological schools affiliated with the Association of Theological Schools in the United States and Canada. And, as one of the 12 schools and colleges within Howard, it is the only African-American theological school connected to a comprehensive category I research institution…. Leland’s cutting-edge curriculum and international faculty are well-suited for the cosmopolitan environment of the greater Washington, D.C. area. With strong ties to a wide range of churches and denominations, Leland boasts one of the most ethnically and racially diverse student bodies among area seminaries…. 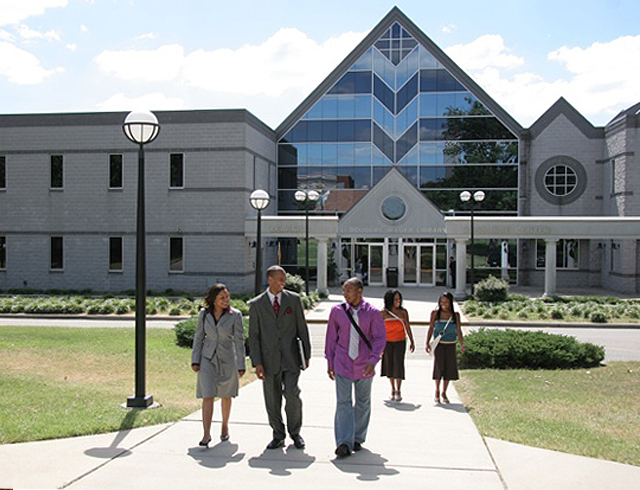 The Samuel DeWitt Proctor School of Theology of Virginia Union University (STVU) is a historically African American institution, that, in partnership with the church and community, endeavors to equip students for service within diverse, social contexts through a curriculum that emphasizes academic excellence, spiritual (trans) formation, and faithful service in the church and world…. Seated in the nation’s capital, centered in Christian faith, Wesley Theological Seminary prepares over 700 students annually, representing more than 25 denominations, to become exemplary teachers, preachers, and leaders in the world today…. The Paulist Fathers House of Mission and Studies, established in 1914, is the house of studies for Paulist seminarians. The Paulist Fathers are a religious order founded in the United States, dedicated to the work of ecumenism, interfaith dialogue, and evangelization…. Shalem’s mission is to nurture contemplative living and leadership. Grounded in an understanding of God’s desire for peace, wholeness and well-being, Shalem envisions a world transformed by contemplative living and leadership in which all people honor one another and creation, recognize their unity and interconnectedness, and courageously seek to live out of this reality…. The Graduate School of Islamic and Social Sciences (GSISS) was founded as one of the first privately held, independent institutions in the United States dedicated in its entirety to teaching and research in Islamic Studies….